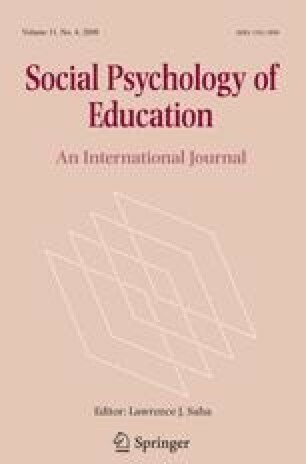 This study set out to examine children’s notions of the malleability of their academic competencies and the relations of these notions to the child’s grade-level and gender and the parent’s educational level. In interviews of a total of 103 boys and girls of the third and the sixth grade, children of academically and vocationally educated parents were asked to rate their potential for improving their competencies in mathematics and Finnish. The children were asked to use intrapersonal and normative criteria in their ratings. The ratings were found to form distinct domains of the notions of malleability, as they did not correlate with each other. The children’s ratings of their current competencies, i.e. their academic self-concepts, turned out to be related to their normative ratings of the malleability of their competencies. The findings further suggested that the children’s notions of the malleability of their academic competencies became more pessimistic in the course of their school years.